If it looks a lot like the old Mac Pro to you, that's no coincidence. Mac fans, you got punked again this week at Apple’s Worldwide Developers Conference. 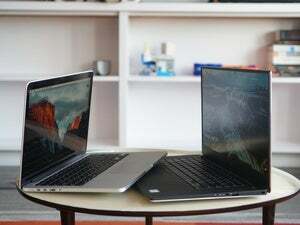 I say this not as a Mac user, but as PC enthusiast who, frankly, was eager to see what Apple would do to respond to what’s been a splendid 12 months of PC hardware. On the desktop we have the 10-core Intel Broadwell-E, Nvidia’s GeForce GTX 1070 and 1080, and AMD’s Polaris, plus a warehouse full of OLED tablets, crazy-fast SSDs, and variable-refresh panels. Over in the world of Macs, though, it’s been drier than the California drought for hardware. Sure, Apple’s MacBook Pro should hit later this year (and I expect it’ll be a fat update), but maybe, just maybe, Apple could give some love to the Mac Pro. 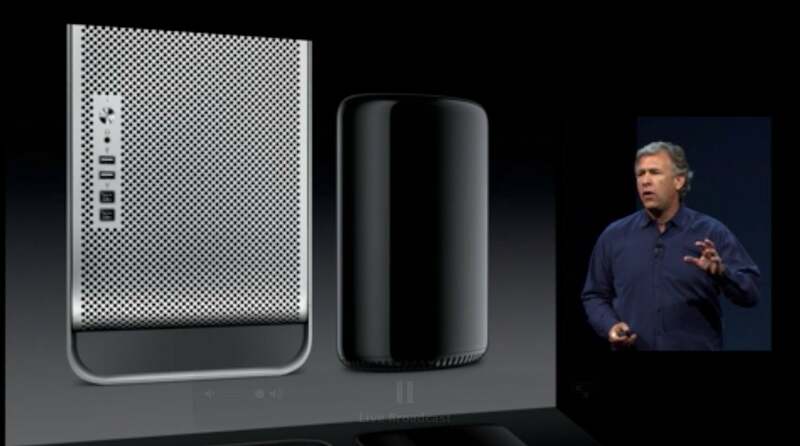 You know, the Mac Pro that hasn’t been updated since its introduction in 2013. 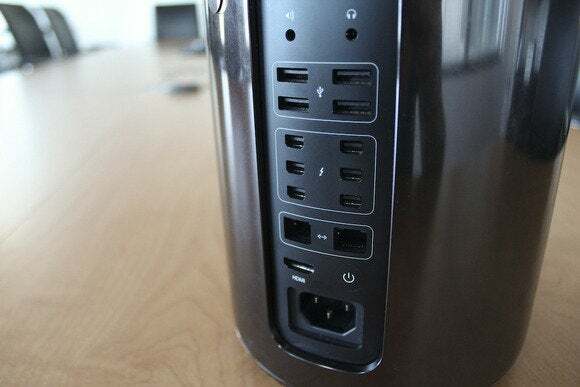 The Mac Pro hasn’t been updated since 2013, which is like 217 years in technology. In a category where CPU and GPU density and efficiency matter the most, the top-of-the-line Mac Pro is still using 2nd-generation, 22nm Ivy Bridge cores and what was already an elderly AMD GPU core when introduced. 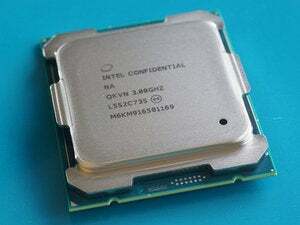 We’re on 6th-gen cores in Skylake, and the new 10-core Broadwell-E is a 5th-gen Intel chip. We have Pascal and Polaris now, too. To put it another way: In iPhone generations, the Mac Pro is an iPhone 4 in an iPhone 6s world. But I’m not here to snark. I’m here to offer Apple some friendly advice. I’m here on behalf of Mac enthusiasts who are yearning for a new powerhouse to call their own. 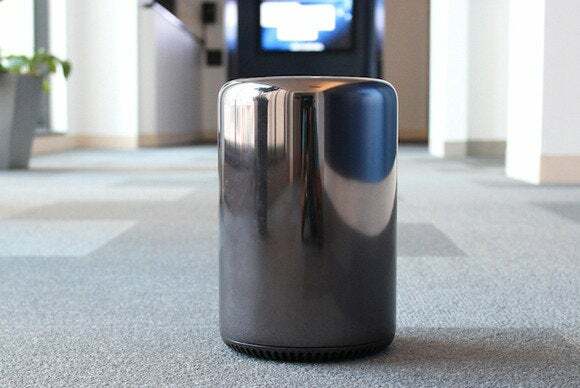 Problem One with the Mac Pro is its design: a space-agey trashcan shape that’s just plain weird. So you took away the big upgradeable tower and gave everyone a machine no one could upgrade or drop more cards into? I know, I know, Apple likes to get ahead of the competition. This translated to PCIe-based storage months ahead of everyone else, as well as an internal digital display connector that worked with 5K panels. I will say, however, that the time is over for one-off specifications that put customers at the mercy of specialty parts for upgrades. Most Mac desktop fans I’ve talked to practically tear up when I mention the Mac Pro's lack of an easy or affordable upgrade path. You’re not going to run down to the corner computer store, buy a GeForce GTX 1080 or the latest Quadro or FirePro, and put it in that machine. Want to install an internal 6TB 3.5-inch drive? Forget it. It’s external or bust. The thing is, people like hard drives inside their machines. They like to grab the latest graphics technology and install it inside their machines. 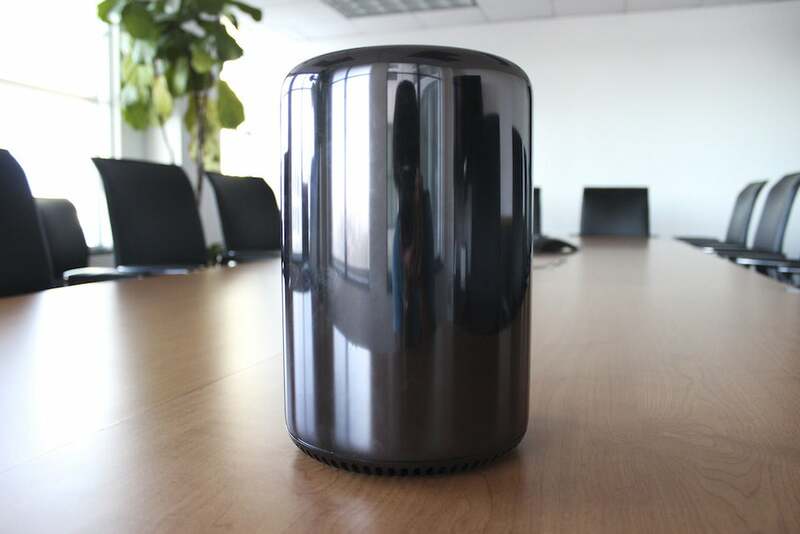 The Boxx Apexx is a little smaller than what I think an upgraded Mac Pro should be, but you get the idea. Make it brushed aluminum silver with handles on top and bottom. So, ditch the cylinder shape and go with the tried-and-true box. It worked great with the Mac Pro tower for, oh, a decade. But we don’t need something quite as hefty in this day and age. I’d say a good fit for the new Mac Pro would be a microATX-sized board. That'd give you four PCIe slots to work with. Use one slot for the graphics card. 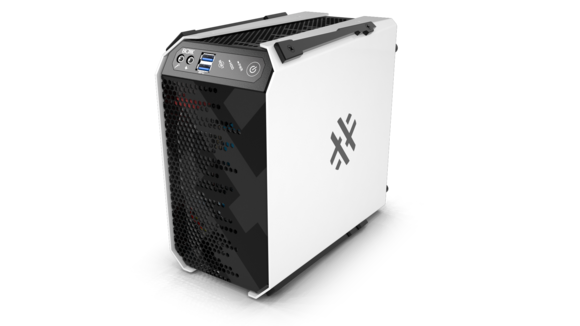 You can even space out the board design out so the GPU takes up two physical slots, with three remaining for fiber network cards, 10Gb ethernet, and PCIe SSDs. A MicroATX-sized motherboard (with eight DIMM slots) would be a good size for an updated Mac Pro. 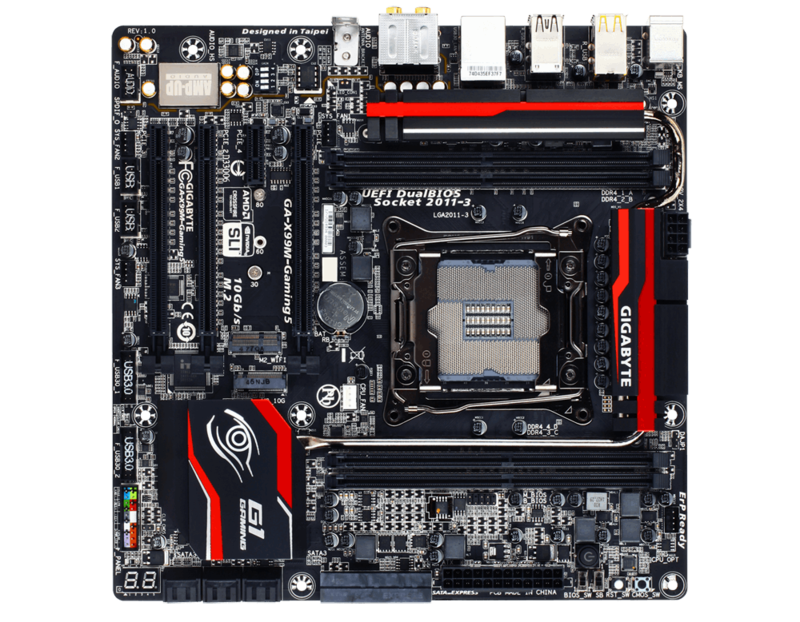 Sure, some might say a mini-ITX-style motherboard would be enough, but that would give you just one slot, which the GPU would eat up. For the content creation chores that get tossed at this box, you need upgrade options. Design it with enough room to slot in four 3.5-inch drives for bulk storage, and make those drive bays dual-purpose so they can hold 2.5-inch SATA SSDs, too. That won’t be the end of storage requirements, though. Put six SATA 6Gbps ports on the board, but also include support for an M.2-using PCIe Gen 3 at x4 speeds, and two U.2 ports as well. This will give the new Mac the flexibility to use M.2 as well as U.2 for ultra-fast storage. Don’t reinvent the wheel. Just use off-the-shelf liquid cooling. I can still remember the howl of the G5 PowerMacs from across room, so take advantage of off-the-shelf closed-loop coolers to liquid-cool the CPU. 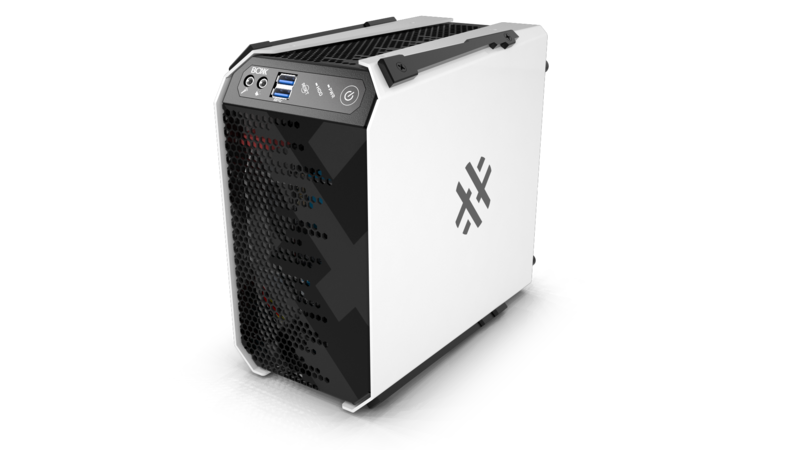 Also design the case so a CLC-cooled GPU can be offered. For CPU, with today’s core density, it can all be done from just one socket. Building on Intel’s LGA2011-v3, the chip options can run from 6-core to 22-cores using the latest Broadwell-E and Broadwell-EP CPUs. There’s just no reason to expend the money for a dual-processor board for most users. For RAM, that means supporting 8 pieces of RAM for up to 128GB using non-ECC RAM, and up to 256GB using ECC DDR4 modules. Make sure there’s lots of ports, too. No fewer than four Thunderbolt 3 ports will do, but don’t forget USB Type A at 10Gbps speeds—you’ll want no fewer than six of those. And not that I care about its long-dessicated corpse, but if you put a couple of FireWire ports on there, your old-time fans will be ecstatic. Once you’ve built this Mac rig and given the Mac Pro fans a proper toy to upgrade at will, you can go on ignoring them for another three or four years. 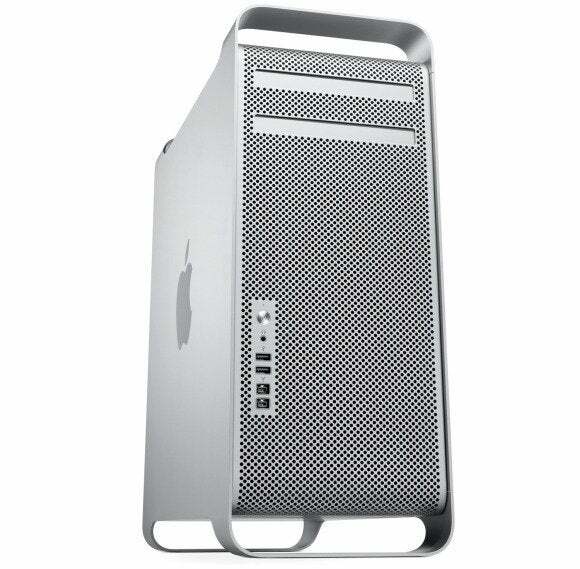 Just think of a Mac Pro scaled in half for the perfect Mac desktop upgrade.